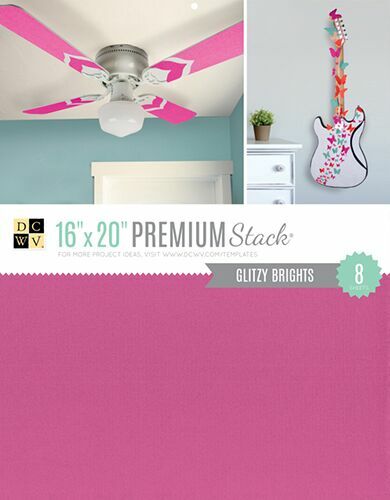 Add some sparkle and shine to your projects with the Glitzy Brights stack. The bright, bold colors will be a fitting comment to mixed media projects, home décor “fixer-uppers”, party banners, and more! This product is available at Jo-Ann Fabric and Craft Stores®. Be sure to check out the additional oversized stacks and project paper sheets, available in 3 sizes (11”x17”, 16”x20”, and 24”x36”) as well as a variety of colors, prints, and textures.